This unique Comodita Convoluted Topper is designed to provide ideal support and minify tossing and turning. The convoluted construction – Eggshell shape on the top, is designed to provide a comfortable sleep surface, conforming to the curves of the body to create an individualized experience that eliminates pressure points. 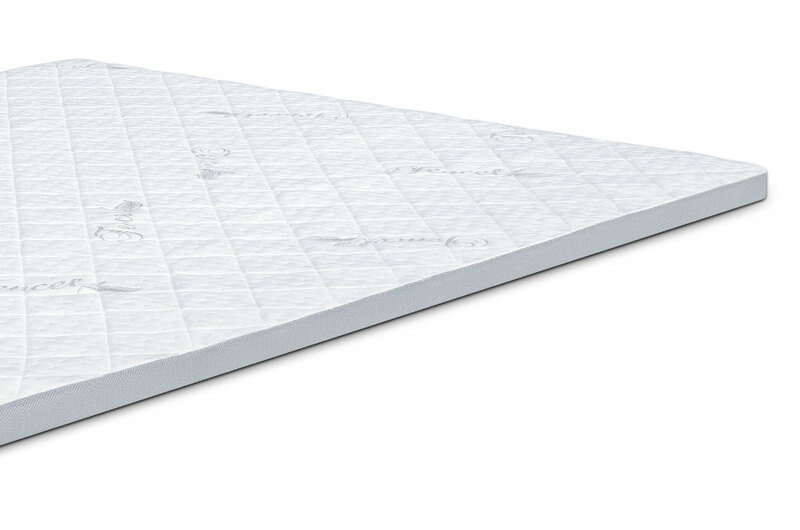 Removable cover made of Aloe Vera fibers to improve breathability and create a bacteria-free healthy environment.